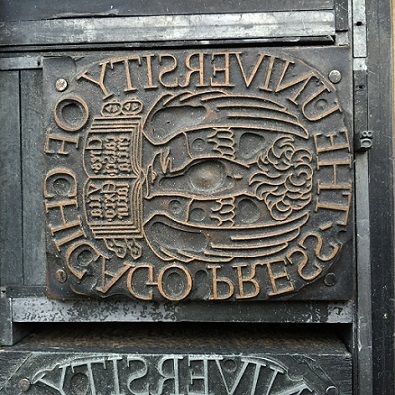 An old University of Chicago Press printer’s block (date unknown), with the original 1891 logo. Photo by: Isa Leshko. The University of Chicago Press was one of three original divisions of the University when it was founded in 1890. Although for a year or two it functioned only as a printer, in 1892 the Press began publishing scholarly books and journals, making it one of the oldest continuously operating university presses in the United States. This isn’t a critical history of UCP, but one wonders about the relationships between scholarship, technology, and the academic institution that engendered that turn from printing materials to printing ideas. Imagine if the IPS viewer is also equipped with text searching capabilities. In this case the user could find all documents that contain a certain word or phrase, and then view that word or phrase in context within the document. Entire libraries could be archived in electronic form, and since IPS files are self-contained, would be printable at any location. The Camelot Project launched what turned into the PDF. This technology remained proprietary to Adobe until it was released as an open standard in 2008 (Fascinatingly enough, citing the article that footnotes this development requires use of the Internet Archive, a non-profit institution dedicated to “preserving the internet.”). Could we have anticipated how much that new programming language would change the way we store and retrieve information, and in turn, how we circulate scholarship online? Probably not. But the seed of the PDF was already there. It was present in the gesture that led the University of Chicago Press to publish its first scholarly work, Robert F. Harper’s Assyrian and Babylonian Letters Belonging to the Kouyunjik Collections of the British Museum in 1891. The contingency—or better, the interrelation between the production of new knowledge and the production of new technology—isn’t accidental. It’s how we get from here to there. That one sphere may occasionally take the lead and develop with greater speed isn’t the heart of the matter—it’s that they are co-evolutionary, and the getting from here to there is a movement. How we organize ourselves institutionally contributes to and affects how we change our perceptions, which in turn contributes to and affects how we mobilize technology. We might not have been dreaming of JSTOR when we invented the PDF, but JSTOR might have been dreaming of us. Italian sculptor and architect Davide Prete specializes in urban-scale works using stainless steel, forged steel, and small-scale sculptures combining traditional metalsmithing techniques and 3D printing and laser scanning. In the smithy’s work, we have the theory of the laser printer. The stories it could tell. 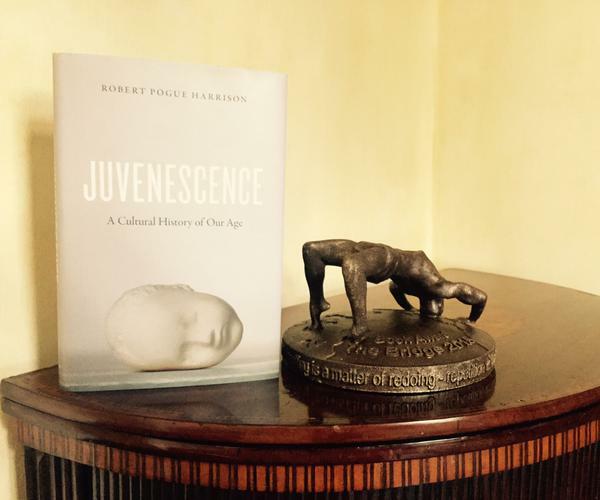 The inaugural Bridge Award (Non-Fiction), a collaborative project between several non-profit institutions in the US and Italy, was awarded to Robert Pogue Harrison’s Juvenescence: A Cultural History of Our Age. The award itself is a 3D-printed sculpture. Next up in the UP Week blog tour is the University of Manitoba Press Blog, with images of some of the books (and book launch photos!) they’ve published over the course of the past 48 years. To read more about University Press Week, click here.